TOP 3 TIPS FOR HIRING A ROOFING CONTRACTOR - WCC ROOFING CO. Check Reputation– This becomes one of the best ways to ensure you are hiring a vetted roofing contractor. Today, it’s not difficult to find online reviews and testimonials from customers who have used the services of a particular company. Check social media sites and you will get a general feel about the credibility of a particular contractor. They should be able to provide his full name and address (and shouldn’t furnish a P.O. Box number). They should also have a valid roofing contractor license (this is different from a business license). Experience is another factor that is closely linked to reputation. Opt for an experienced contractor; a mediocre one will not be able to survive in the market for too long, without a blot on his reputation, and it’s important to ask them to provide references. Insurance– It’s crucial that the contractor you choose have the required worker’s compensation. This is primarily because the homeowner’s insurance you have may not cover worker’s injuries while the project is in progress. In case there is an accident, you will be liable to pay all costs from your own pocket. The company should also have the liability to protect the homeowner, in the event of an accident. Guarantees & Warranties-This is another important aspect. A well-established roofing contractor always provides longer workmanship guarantees. These are different from the warranties provided by the roofing material manufacturer. In addition, check for the responsiveness of the contractor and whether he is proactive in their approach. It’s also very important that you don’t necessarily settle for the company that provides the lowest quote – they might just be cutting corners. Always keep in mind, that your roof is a major investment and that the installation has to last for decades. 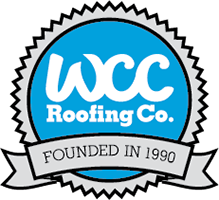 For excellent roofing solutions, call WCC Roofing Co. at 314.596.0596 or check out our website at www.wccroofing.com. Excellent work; Jake was the project manager. They provide quality work and stand behind it 100%. I would highly recommend this company.